Are Adjustable Dimmer Switches Really That Good? Imagine waking up in the darkness of the bedroom and turning on the light switch. It makes your eyes hurt just thinking about it because it is such a familiar feeling. Your eyeballs feel like they sink, trying as hard as they can to move back into your head in response to the bright light. But if you have a dimmer switch, you can gradually increase the brightness of the light, and your eyes can comfortably adjust. It is a simple fix to an uncomfortable situation that too many homeowners in developed countries face. Why aren’t there dimmer switches at every light switch? The answer may be the cost, but it does not add a huge expense to add a dimmer switch. Probably the simpler explanation is that it is just the way it has always been done. Dimmer switches are normal in dining areas or sitting areas where “mood lighting” seems like a good idea, but there are many other reasons to add dimmer switches. Although some of them are obvious once considered, they are worth mentioning because they are still not the standard in new home construction or even in remodels. Dim lighting can create a feeling of luxury and peace in a room that would otherwise be lit with only one option for effect. In the dining room, dimmer switches create the ambience of a fancy dinner restaurant. In the bedroom, it provides appropriate lighting for settling down for bed. In the bathroom, dimmer switches can create a candlelight effect perfect for bathing or getting ready for a night out on the town. Conversely, the lights can provide the bright light of standard switches that fully light a room. It is not an all-or-nothing approach to lighting, and dimmer switches offer the versatility of ambience combined with the ability to fully light a room for cleaning or when visual demands are greater. Dim or bright and everything in between is possible. It is a lighting solution that provides the full benefits of all types of light. As already mentioned, slowly lighting a room can make your eyes feel like their current position in the head is acceptable. However, visual comfort is much more than the abrupt change in lighting circumstances. Bright light eliminates eye strain when trying to accomplish detailed tasks such as small crafts or bookwork. It allows the eye to see detail that would not be allowed with dim lighting. However, watching television is often done in the dark, but how much more comfortable would it be if there was a little light to find your way to the bathroom when needed? Even reading a book can be more comfortable if you could just turn down the light a little. It is all about comfort, and light choices are dependent on personal choice and visual comfort. It may not be your first consideration when thinking about a dimmer switch, but they do conserve energy. That is because they limit the flow of electricity to a light bulb. With traditional switches, lights are either sapping 100 percent of allowed energy, or they are using no energy. Over time, lower light conditions save on energy consumption. Bright light is not the most pleasing condition, and it can highlight imperfections in homes and people. Everything is more beautiful in the glow of low light, and this can enhance the mood of residents and guests in a home. Just like candlelight, low light is magical, and it creates its own effect away from the bright, technology-driven world. Lowering the lights allows the convenience of being able to see, but it is also an escape from daily life. It makes home a sanctuary. Lastly, dimmer switches extend the lives of bulbs. 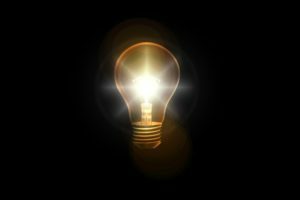 In some cases, dimming bulbs by a quarter of the amount of full usage can add years to the life of the bulb. Like any electric device, use causes wear and tear that limits the lifespan of the device. 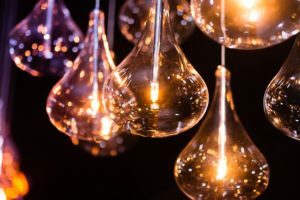 The same is true for bulbs, and lowering the amount of use with each light extends the life of the bulb because it isn’t used at the same capacity. Talk to your electrician about what it would take to get dimmer switches in your home. It is not a difficult process, but they will be able to recommend the best switches to get you the most options. There are even smart options available where the lights are controlled from smartphones. Not only are you able to change the brightness of the lights, but you can even change the color of the light from wherever you are sitting. Don’t settle for eye strain and bright, uncomfortable evenings. Spend the time and the minimal amount of money to get dimmer switches wherever you can.